As part of our Things We Do Everyday series, I have also been writing an inspiration post as a way to find some more ideas and inspirations for the things we already do all the time. 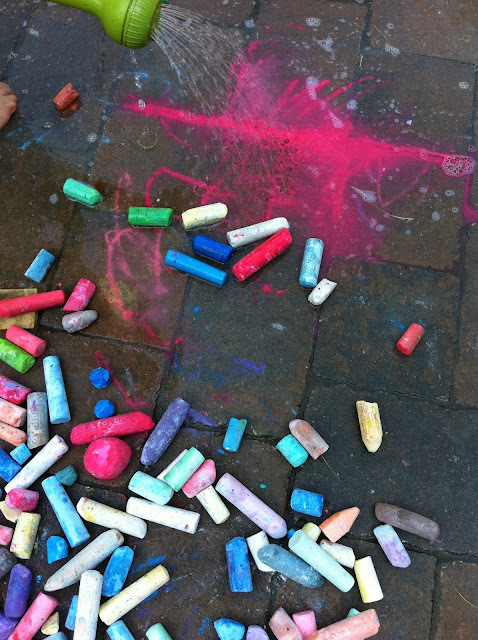 So this week I am looking for some more fun ideas for what we can do with our favorite sidewalk chalk. Sidewalk Chalk Party from Hip Hip Hooray! Beautiful Photo! This is so fun!